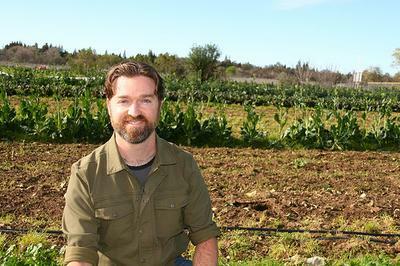 Dominic Allamano is the edible city coordinator of Soil Born Farms, hosting it’s volunteer-powered fruit tree planting, fruit gleaning, garden building programs in Sacramento area neighborhoods. He has been facilitating experiential programs for over 20 years and studying permaculture and related regenerative fields for the past 10 years. Dominic is a Sacramento native who grew up along the American River near Soil Born’s American River Ranch and has committed himself to the creation of a healthy and sustainable food system for the Sacramento region and it’s many unique neighborhoods. Dominic will be co-hosting Cultivating an Edible City on Saturday morning.